There is no better number to understand in your business than your break-even point. I have seen businesses entirely focused on trying to achieve growth by having a razor beam edge fixated on their sales numbers only. While it’s important not to lose sight of sales it’s not the critical number you should be only focused on. It might surprise you that one of the most effective ways to drive profit is to focus on your break-even point. Typically, the break-even point is used by manufacturers to work out how much revenue or units is required to sell to cover their variable and fixed costs. In my research in working out the best method, I was amazed to find that very little was dedicated to the service industry – my industry! It opened a Pandora’s box for me. Did someone miss the memo? Have they not seen that Australia is saying goodbye to making things? The world economy is different now. Any left-over love for making things on the significant scale has moved over to China. The jobs of the future are in helping and doing, not in the making as harsh as that sounds. While there will always be some form of small manufacturing in Australia, it’s safe to say we can easily base our whole economy on services. These services are exportable across the seas and have taken off in the last few years. Take for example financial and business services, because of the internet and online solutions, which can be one of our biggest exporters. So, coming back to my initial point. How does a service industry business work out their break even? The complication in calculating a service business break-even is that the business doesn’t have a physical product to sell like a retailer or manufacturer. The first step is to identify your unit. Example a consultancy-based firm bills their customers by the hour and an accounting firm charges by a tax return or suite of services, a training company sells courses, and other businesses might have a fixed price per customer, also known as value-based pricing. In each case, they are all seeking to find out how many units (hours, tax returns, courses, customers and so on) they need to reach break-even. Distinguishing your variable and fixed costs is where the complications are. The nature of a service-based business means that the most considerable portion of its expenses commonly relates to wages and salaries leading to difficulties in defining what is variable and what is a fixed cost. We have picked out two different examples to highlight how this works. Selling Price: Average client will need 100 hours per year @ $125 per hour = $12,500 p.a. The business needs 25 clients each year to break-even. While we know we need 25 clients to break-even the question remains does the business have the capacity to handle 25 clients. 25 clients x 100 hours each per year = 2,500 labour hour. This means that the business is more than adequate to take on more clients. The business needs 1,250 chargeable hours each year to break-even. Assuming the business can call on only one person to provide the service. If you are in a service-based business, take the challenge and calculate your break-even point. This number forms the basis for key pricing decisions, volume and capacity planning in running your business. All That Counts have years of experience working with businesses and helping them to understand the importance of break-even and strong margins. Talk to us today and find out how we can help your business gain that competitive advantage. We would love to hear from you. You would be forgiven for thinking that not so long ago, the “gig economy” was a space for musicians and freelance designers to bid for their next piece of short-term work. Software enabled programs like ELance and Upwork were the minority, with most Australians in the dark about using the internet for work and new gigs, and focusing on the nine-to-five. All this has changed. Welcome to the gig economy! The gig economy is now a prominent and lucrative business that is here to stay. It is a wide-spread global industry that promises a future of vested entrepreneurs and unlimited innovation. Platforms such as Airtasker, Freelancer, and Speedlancer have opened the doors for many corporate high flyers. It is no surprise to see that many are now leaving their fixed hours and suit for a flexible work life balance, giving them the opportunity to start up a business where they can follow their passion and provide a host of consumer-to-consumer services. This has turned the rules of business upside down, and for those of us moving over to the gig economy, there are new skills to learn. In the traditional world of business, finding clients means a lot of networking, including self-promotion via social media. In the gig world, finding new business comes from mobile apps and online platforms that instantly pair both parties, based on the skills needed to get the job done – the real challenge is maintaining finances, and adjusting to the new working landscape. If you want to give your gig business a chance to grow legs and succeed, we should look at what the successful people in this space are doing when starting out. Lean, small, nimble and flexible are good things. It means you don’t need to outlay vast amounts, and in turn don’t need to make huge amount of revenue. Starting out lean means it’s hard to fail, and easy to succeed. Many business owners try to cut costs by doing their accounting themselves. If done poorly, however, this can cause you a lot of headaches, unnecessary costs, and put your business at risk. Consult with a professional to determine the best structure for your business, and what level of reporting requirements you need to satisfy the ATO. No matter how small you are, there is no excuse or reason to keep track of your finances in a spreadsheet. QuickBooks Self-Employed (QBSE) accounting app is ideal for businesses that are not registered for GST but need to invoice on the go, track expenses and track mileage. Leaving the heavy lifting to your app means you can spend more time on your business. One of my all-time favourites. It means I can forego the wad of receipts that are exploding in my purse, in between my car seats, on my dashboard, et cetera.… you get the drift! With apps like QuickBooks, you just snap a photo of the expense on the go. No need to look at that receipt again! Always keep your personal and business finances separate, for both bank and credit card accounts. While it may be convenient at the time to buy your groceries on your business card, don’t make it a regular habit. Your business account is for business use. Applying this practice will save you a lot of time, and a lot of hassle! By following these best practices, you’ll be putting your new gig economy business in good standing for the future, and keeping track of all that counts. We would like to draw your attention to some of the key items that need to be addressed in order for your accountant to minimise your tax. Reconcile statement balance to 30 June. Clearing accounts should have a zero balance at the EOFY. Petty cash needs to be counted and reconciled to balance as at 30 June. Ensure all receipts have been entered into your accounting software and reconciled to a petty cash tin held by the business. This account should reflect the amounts un-banked as at 30 June. This should only be used as a holding account until you have certainty where to allocate the transaction. Ensure this is cleared out as at 30 June. The balance reflected in this account as at 30 June should be the amount left to remit to the ATO. This usually would be 3 months (last quarter Apr – Jun). Prior to producing payment summaries to staff you need to ensure that the gross wages in your payroll report agrees to the balance in your profit & loss for the year and also agrees to the total sum of payment summaries produced. The balance reflected in this account as at 30 June should be the amount left to remit to the Super funds. This usually would be 3 months (last quarter Apr – Jun). The balance reflected in this account as at 30 June should be the amount that is payable/refund to the ATO. This usually would be 3 months (last quarter Apr – Jun) if on quarterly BAS. It’s always a worthwhile exercise to prepare a spreadsheet of what was lodged with the ATO and what your accounting system shows. This will pickup any differences throughout the year that haven’t been picked up. Make sure your Accounts Payable Summary report agrees to your Balance Sheet Accounts Payable or Creditors balance at 30 June. Make sure your Accounts Receivable Summary report agrees to your Balance Sheet Accounts Receivable or Debtors balance at 30 June. If you operate multiple entities and they borrow and loan money to each other you want to ensure that these loan amounts are reflected in both company accounting files. One company will have a DR balance and the other company should have the same amount but a CR balance. If your business tracks and stocks inventory you will need to run an inventory valuation report as at 30 June. Make sure the balance on this report agrees to your Balance Sheet Inventory or Stock on Hand figure balance. If you are on an accrual basis, you will be paying tax on the invoices you issue for the financial year, regardless if paid or not. Review your debtors list prior to 30 June and write off those invoices you know won’t be paid to avoid paying tax this year on money you will not likely ever receive. If cash-flow permits you may want to reduce income for the year by deferring some of your June invoices until July. Accrue expenses before 30 June, these including stationary, office supplies, repairs, computer supplies, etc. If cash-flow permits ensure all employee and employer superannuation contributions for your June quarter superannuation owing are made prior to 30 June to secure a tax deduction as superannuation is only deductible when paid. The balance of the general small business pool is also immediately deducted if the balance is less than $20,000 at 30 June 2017. If you own a rental property, consider arranging a depreciation report to allow you to maximise the depreciation and building write off deductions for your investment property. Why not use the start of a new financial year to evaluate your accounting software. Please note the following information is factual only and does not constitute advice or recommendation. Should you have any questions regarding the above please do not hesitate to Contact our office. If you’re a small to medium sized business (SMB) now is the time to finally move your financial accounting software from your office server to the cloud. Successful migrations can be made easy with the help of an experienced cloud accounting specialist. There’s not a singular method for migration. Each business must deal with a unique set of circumstances. The key is to understand your situation and identify a strategy that allows you to transition while causing the least amount of disturbance and down time. An experienced cloud accounting specialist will be able to identify the correct approach for your business. When you’re using in-house servers, you are forced to be physically present in the office or restricted to a specific computer to access files and tools. All of this goes away with the cloud. Are you ready to start doing business on the road, at home or in the office? Plan the perfect timeline for the migration: Planning the right time of year is critical. You no longer need to stick with a 1 July conversion or migration as historical transactions can be part of your migration process. Determine your own busy periods and avoid them. Ensure your key staff are not on leave as their involvement will be critical for a successful migration and on boarding process. Pick the right product by asking the right people: Don’t get caught out using the wrong software because your accountant suggested you use the product of their choice with little consideration for what is best for your business. Do yourself a favour and engage with a cloud accounting specialist that works with several accounting solutions not just one. They will be able to provide you with an unbiased recommendation on what will work best for your business. Bookkeepers are generally your best go to people as they are trained to work with different industry types and software. They tend to become your best resource in the cloud accounting space. Avoid hidden costs and fees: Make sure you clearly understand what you’re paying for. The value of the cloud is that it removes a great deal of costs — hardware, support, maintenance, downtime etc. Often, the biggest problems occur when companies don’t understand a contract or the deliverable’s. Always review deliverable’s: Be clear about the deliverable’s. Otherwise, you’ll hear this phrase: “That wasn’t included in our estimate. It’s extra.” Therefore, you must demand a fixed price contract and understand what’s not included in the contract is just as important as knowing what’s included. Don’t undervalue the cloud: Avoid getting hung up on license or monthly subscription fees. Focus on the value that the cloud will bring to your business. Your existing server based financial accounting software solution won’t seem so cheap if you calculate all the costs to maintain and upgrade the system. A cloud accounting system includes all your updates, payroll tax rates, enhancements, tech support, real time numbers and real time collaboration with your accountant & bookkeeper. If you are thinking about hitching a ride to the cloud or want to know more then contact one of our cloud accounting specialist on 1300 884 722 or email me directly at lielette@allthatcounts.com.au – we would love to chat with you! Read my blog on why it’s important to surround yourself with qualified professionals of the best kind and not the cheap and nasty kind. Did you know that the majority of Australian small business owners are lagging well behind their Asia-Pacific competitors when it comes to innovation and automation, according to research recently published by CPA Australia? Strangely though, Australia is also renowned for being at the forefront and one of the most advanced countries in online accounting technology which clearly highlights that small business owners are not taking advantage or sourcing the right talent pool. 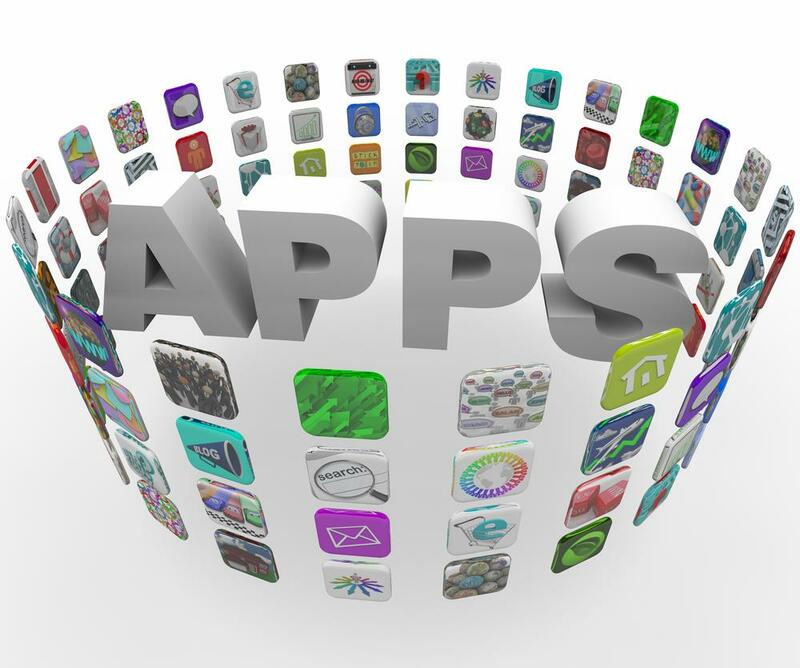 Are you one of those businesses who would like to explore the world of online applications, also known as apps? Would you like to know what some of the benefits are by introducing online apps that could potentially increase your productivity? One of Australia’s leading small business online accounting specialists and Intuit ProAdvisor, All That Counts, believes that Australian business owners are just unaware and not informed of the tools that are available to them to help build, grow and automate their business. Many business owners still believe that growth equals increased headcount, and are reluctant to grow. All That Counts uses its expertise to clearly identify the pain points that small business owners experience and go about to address those pain points by matching the right applications (apps) that will improve their client’s business operations. It’s not just about the numbers and the accounting system. People drive the numbers and people require the right tools to keep the heart and soul of a business pumping. Online technology may replace data entry and some compliance related activities, but it’s no replacement for the relationship a client builds with a trusted business advisor. Let’s say a business is experiencing difficulty in their collections process, an automated collections app like AR Collect, Debtor Daddy or IODM would be ideal to address their cash flow problem. In the old world you would need to hire a collections person to email statements, copy invoices and make phone calls. In the new world with apps you can set your statements to be automatically emailed, reminder letter, legal action and SMS reminders – some of the systems can be customised to suit your needs. Now, what if you had a business that billed out time and required staff to submit timesheets? Hello TSheets!! This is an app that allows staff and contractors to submit timesheets via their smartphone which automatically populates the payroll hours in QuickBooks Online as well as creating an unbilled activity for sales. This app works great for professional services who bill by time. We work with a number of Printing Franchisees doing their bookkeeping using traditional desktop accounting applications. As part of our roll out to move their accounting to QuickBooks Online we saw an opportunity to automate the data entry for the high volume of supplier invoices. We implemented Receipt Bank which is an app that extracts the key information from their bills and receipts, removing the need for manual data entry. Receipt Bank then publishes the data to QuickBooks Online. Receipt Bank has saved us approx. 8 hours per month for these particular franchisees. The added benefit is when the invoice is published from Receipt Bank to QuickBooks Online it attaches the invoice to the transaction. Accountants don’t have to ask us for copies of invoices as they can access them directly from the accounting file. A few months ago we were approached by the owner of a 30 Childcare Centre location. They were frustrated with how long it took them to do rostering and payroll for their 200 employees. They had spoken to many other consultants who provided them with industry solutions but none of the systems actually linked to their accounting system. After conducting our own due diligence on the systems they were trailing we were confident in recommending KeyPays Soft Clock app. We worked closely with the team from KeyPay as we transferred all 200 employees into the new payroll system that also came with an inbuilt award interpreter for the Childcare Industry. Within 3 months we had all 30 sites up and running and trained with the Soft Clock app. Our client has managed to save 2 days per week with the implementation of this app. This equates to an annual saving of $50K. We have now been asked to roll it out for any other new centres moving forward. An app like this means that a business can grow rapidly without having to resource it within. The integration with QuickBooks Online also enables the client to report profit & loss statements by locations for each centre with very little effort. This case study is more about our approach and validates when we say the people drive the numbers and what a true trusted advisor is. We were recently contacted by an Engineering company who was in desperate need for a bookkeeper 2 days per week. Part of the scope was to move them away from Desktop to QuickBooks Online. They had approx. 13 accounting data files which were all saved in different locations and different versions. It was an absolute nightmare! The client had recently put together a new bonus scheme for his team and we soon realised that there was no way he could honor those bonuses as he didn’t have the reporting tools in place to measure their performance. Upon further review we found out that they were also using an outdated desktop project management system. They had no way of identifying if they were making or losing money on jobs and what resources were being utilized. We quickly put the brakes on the accounting system and suggested we get the operations in order first. The company is expecting major growth and we believed the priority was to do our research and source a new online workflow management app that would integrate with QuickBooks Online. Needless to say client was thrilled with our approach. The bookkeeper role is now 1 day per week and we have since placed an experienced systems accountant to re-engineer the processes around the new technology. This will also eliminate the data entry a typical bookkeeper would do in the old world. If you would like to explore the wonderful world of apps why not take advantage of our free online offer by calling us on 1300 884 722 so we can arrange a free download for you. Perhaps you are thinking: how can I afford the deposit? How can I service the loan and how long will it take me to save for the deposit? It’s one of the biggest financial decisions you will make in your life. The term household budget might even be a foreign concept to you. Most people know they need a budget, but when it comes time to creating one – and then sticking to it – it can be tough. If you run a business, you probably understand the importance of good bookkeeping and budget management. And I always tell my business clients, why not apply the same good book-keeping practices towards your personal life and saving for that first home deposit. Here are our five tips on how you do this and achieve your dream of owning your first home. As a small business owner, chances are you are hearing a lot about small businesses moving to “cloud accounting” and if you haven’t yet jumped on board, you’re also probably hearing that there’s so much you’re possibly missing out on. Perhaps you want to jump in with both feet and give it a go but you’re just not sure how and it never seems to be the right time or perhaps you’ve been avoiding it altogether. After all it’s a big move and what if it doesn’t work out? What if it does? What if moving your accounts and other business processes to the cloud was the best move for you and your business. What if I told you that small businesses that have made the move to the cloud doubled their profits and achieved 25% additional revenue growth compared to their cloudless counterparts. So let’s explore what cloud software really is and what it means to you and your business…. …..put simply the cloud enables you to transform your business processes and no matter which industry you are in there is an innovative product that will allow you to accelerate your service offerings. Let’s break that down to what that really means to you. EASY to use and grasp, but, it doesn’t mean you can do it all yourself. Don’t be afraid to call in the experts to support you and provide the right training. Ultimately this means you get to enjoy more money and more freedom with peace of mind. Want to know more how you can step into the cloud world easily and effortlessly? Our team are experts in deploying cloud accounting solutions as well as some of the great add-ons that help enhance your business processes.